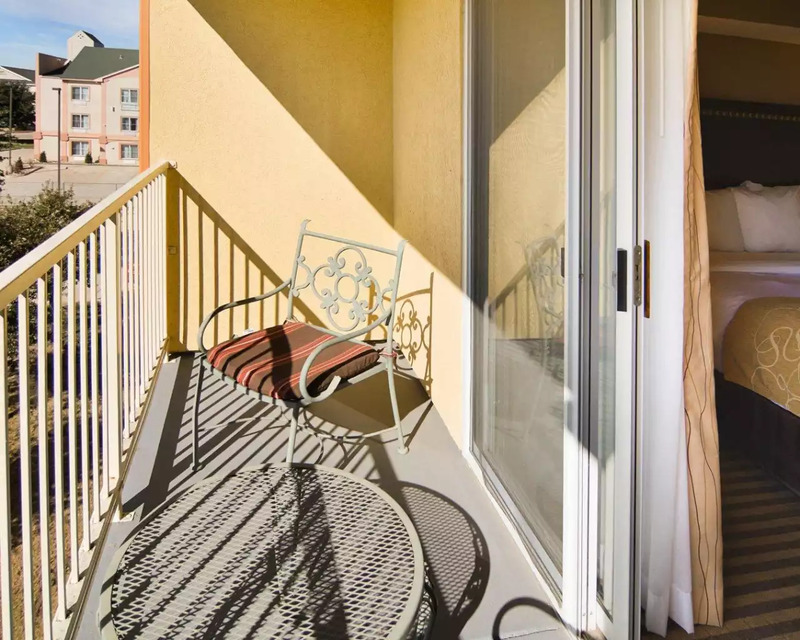 Use our gallery below to take a tour of our illustrious property. 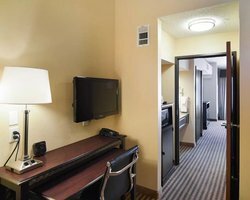 Comfort Suites DFW Airport is characterized by modern, well-appointed spaces and is accentuated by a sleek and functional design. The moment you arrive, let our amenities greet you at the door with free Wi-Fi, convenient on-site parking, and our complimentary airport shuttle. A stay with us promises a wealth of other amenities, including an outdoor pool and hot tub, fitness center, business center, 24-hour front desk, and more! 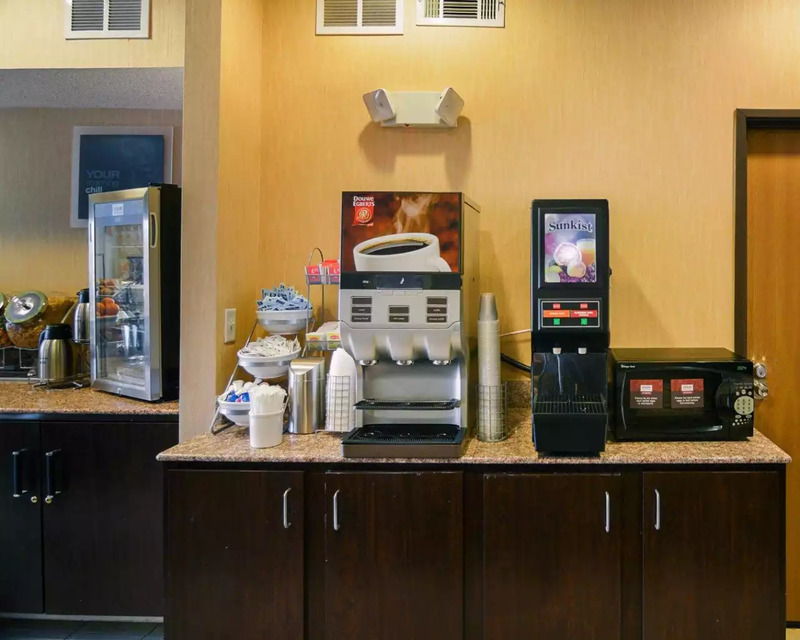 Featuring business amenities like a meeting space, as well as family-friendly conveniences such as free breakfast, laundry facilities, and dry cleaning services, our hotel is equipped to accommodate any kind of traveler. 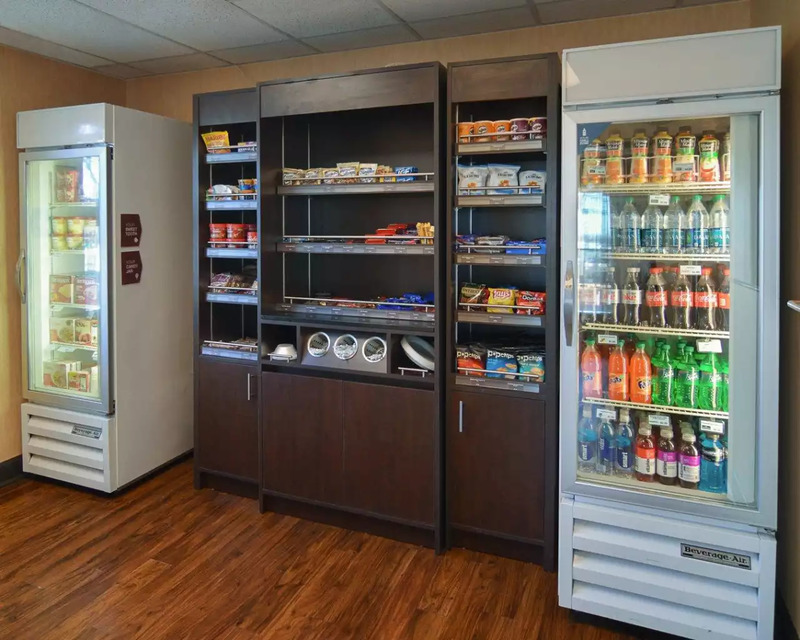 Check out our on-site convenience store for all of your last minute needs and late night snacks! Find relaxation and solace with ease at Comfort Suites DFW Airport hotel. 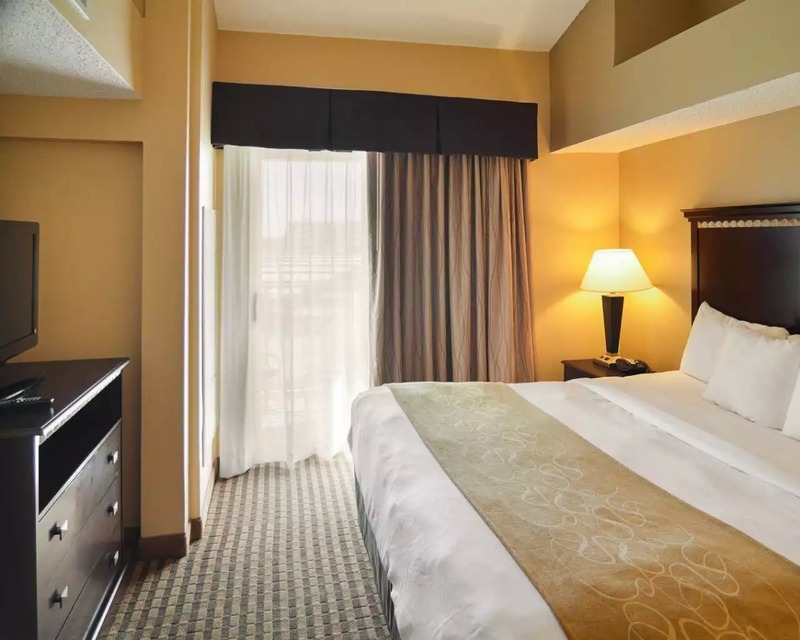 Our spacious hotel offers you convenient access to the airport and even provides a complimentary shuttle with airport pick-up and drop off for stress-free travel! 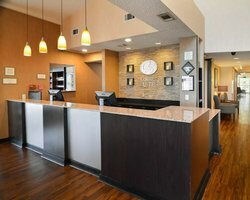 Our hotel near DFW airport is equipped with all of the modern lifestyle conveniences you require for a comfortable and fulfilled stay. 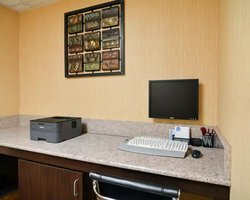 Find advice, recommendations, and all other questions or concerns met by our 24-hour front desk. 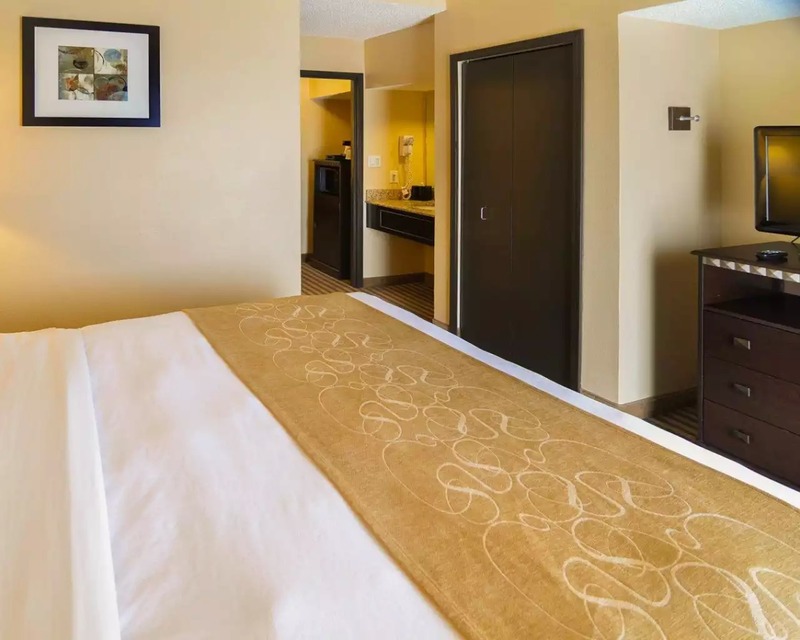 From business amenities to family-friendly perks, our hotel is equipped to exceed the expectations of any kind of traveler. Experience outstanding comfort in our Irving, Texas lodgings. 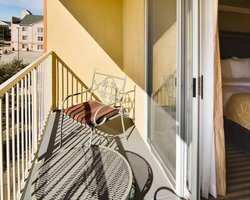 Sprawl out in one of our six versatile room types that offer everything from accessibility to private balconies. 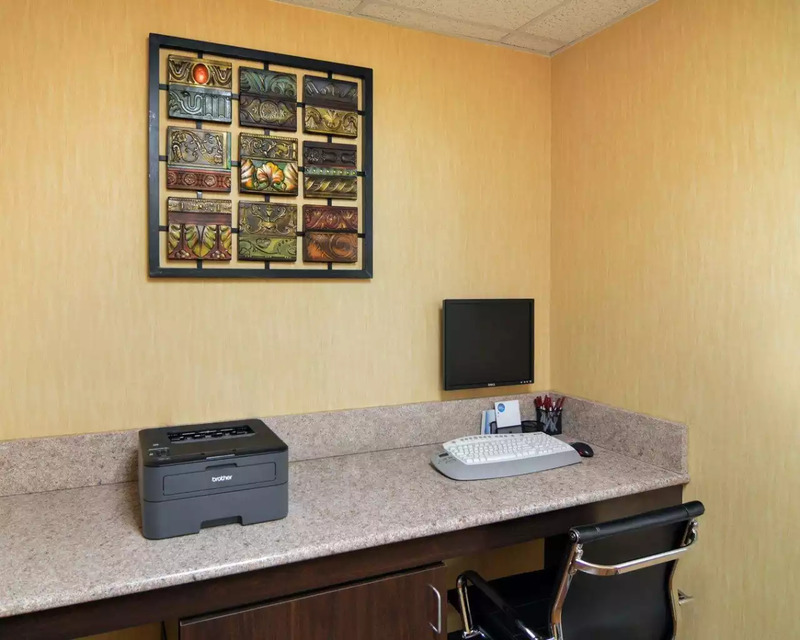 All of our Irving, Texas lodgings come equipped with air conditioning, refrigerators, microwaves, free Wi-Fi, flat-screen TVs with cable entertainment, workspaces with desks, separate sitting areas, hair dryers, and phones with free local calling. 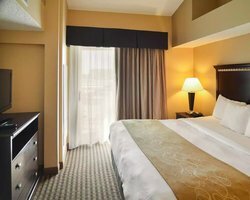 With six versatile rooms to choose from, you are sure to find the right accommodations to suit your unique needs. 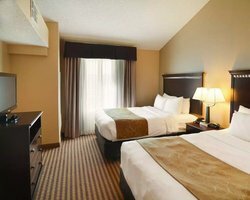 Every room offers premium bedding. Dependent on availability, this room may be accentuated by a balcony or cathedral ceilings. 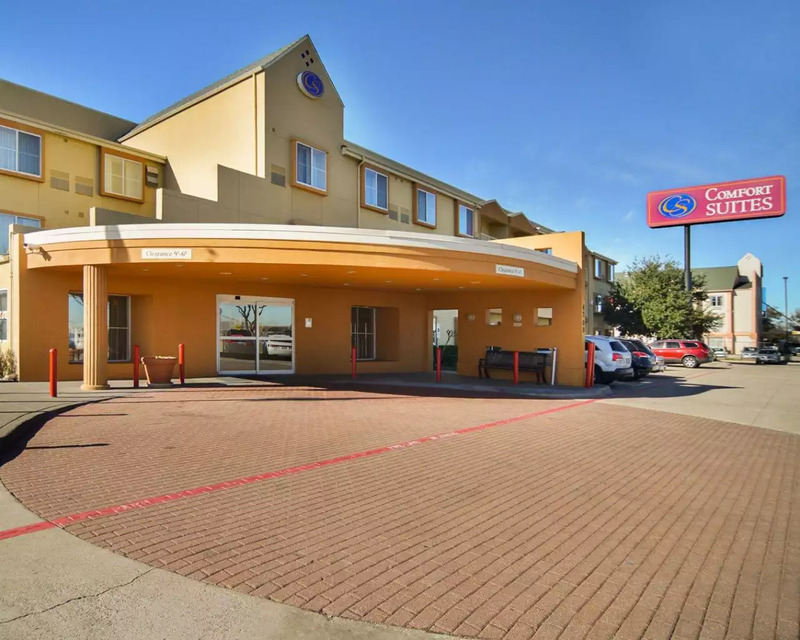 Whether you require accessibility features, a private balcony, or your own in-room jacuzzi, Comfort Inn DFW Airport has it all. 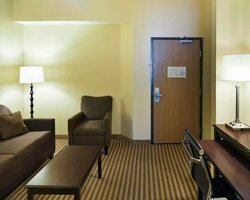 All of our rooms have sitting areas and sofa beds for your comfort. 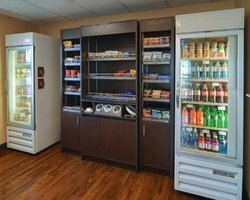 Find all of our last minute essentials, late night snacks, toiletries, laundry detergent and dryer sheets, soft drinks, waters, and frozen foods right here! 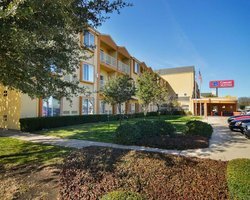 Our hotel offers an expansive 1,338 sq. 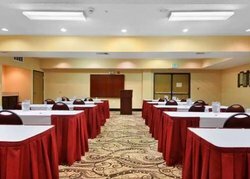 ft. of versatile meeting and event space that is comprised of four separate rooms ranging in size from 228 sq. ft. to 1,110 sq. 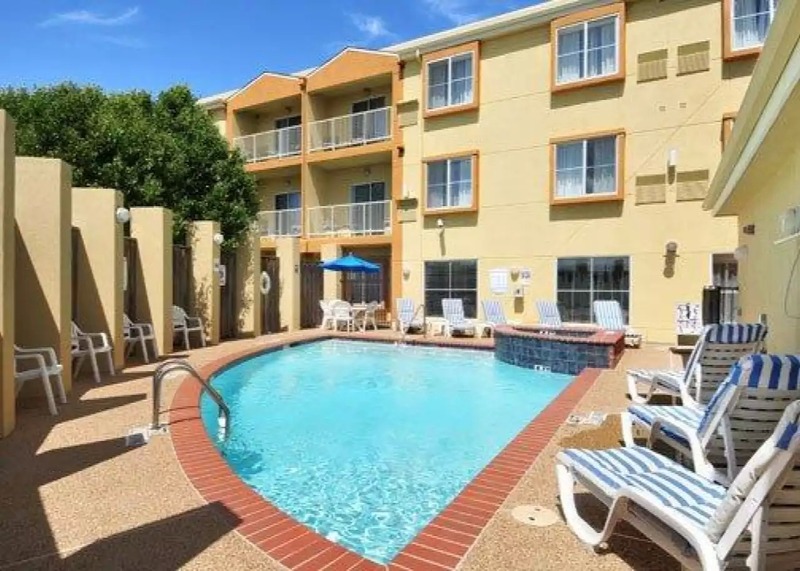 ft.
Soak up the sunshine on our outdoor pool deck or take a dip and cool off. 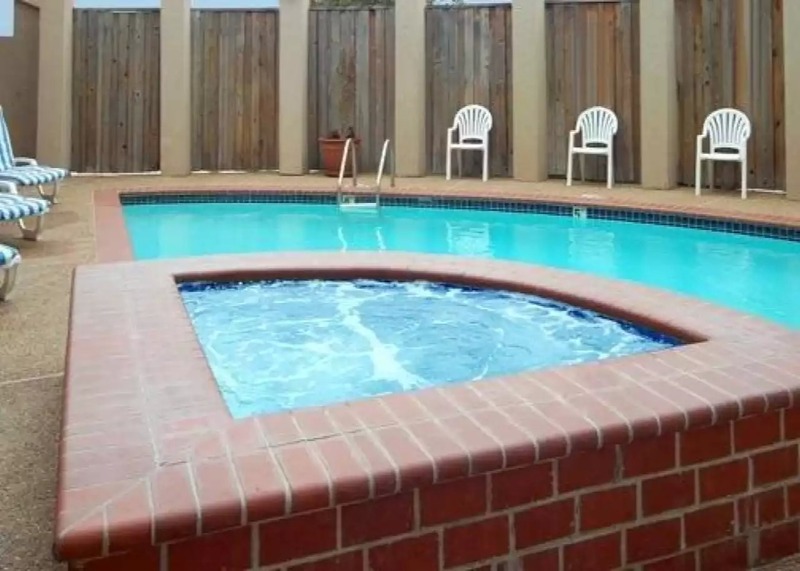 Our expansive outdoor pool is suitable for kids and only reaches depths of 4 ft. 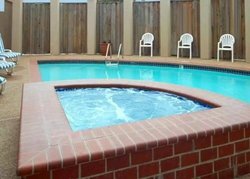 Relax in our luxurious hot tub if you prefer warmer waters. 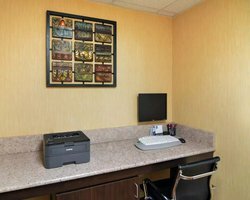 Find time to focus in our on-site business center. Take advantage of our desktop computer with Internet access, as well as the printer. Take the stress out of your travels by electing to use our free airport shuttle as your reliable airport transportation available 24 hours a day, 7 days a week. 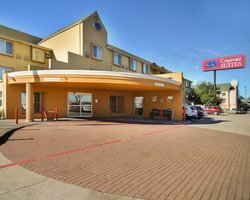 Our hotel close to DFW airport is equipped with all of the modern lifestyle conveniences you require for a comfortable and fulfilled stay. 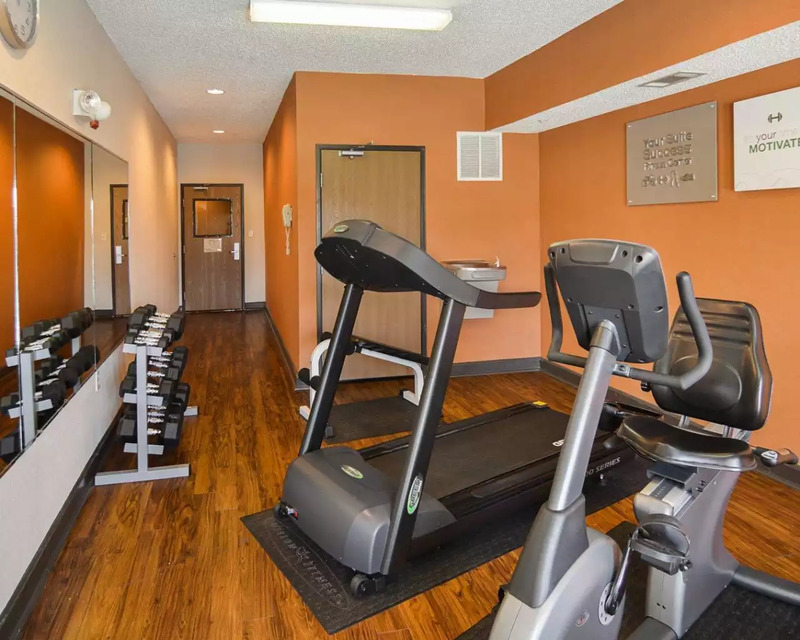 Benefit from the convenience of an outdoor pool, hot tub, fitness center, on-site convenience store, a wealth of welcoming common space, and more. Plus, we also offer a range of business-related amenities to provide our corporate travelers with the utmost functionality. 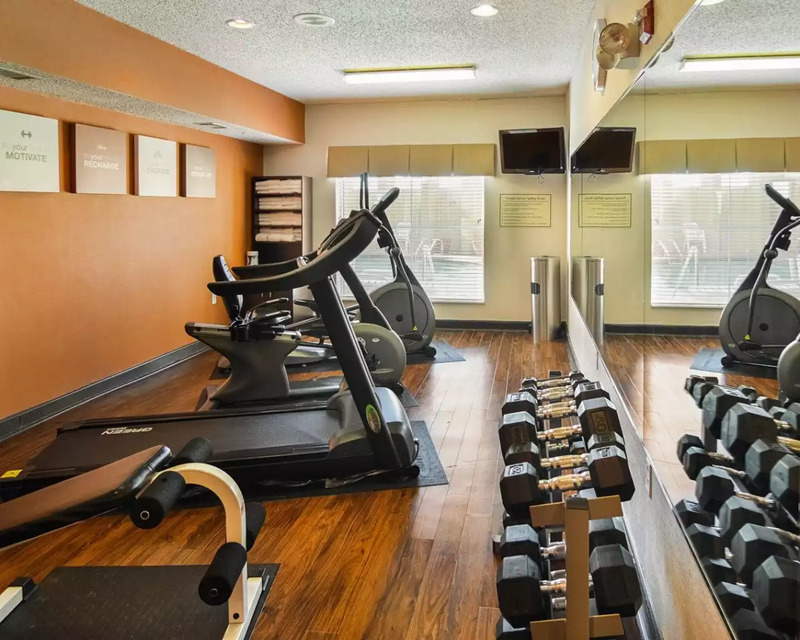 Our fitness center boasts a range of equipment to help you stay active and fit during your travels. 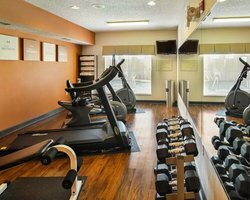 Enjoy the use of free weights, a weight bench, a treadmill, an elliptical, and a stationary bike. Join us for the most important meal of the day! Wake up each morning to a delectable spread of breakfast foods. 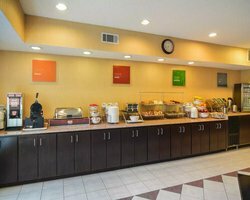 From scrambled eggs and breakfast meats to waffles and coffee, you are sure to start your day with a nice, full stomach. 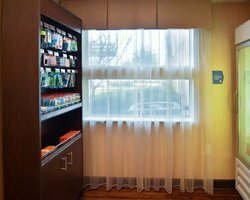 Do your laundry with ease thanks to our on-site washer and dryer. The facilities are coin operated. 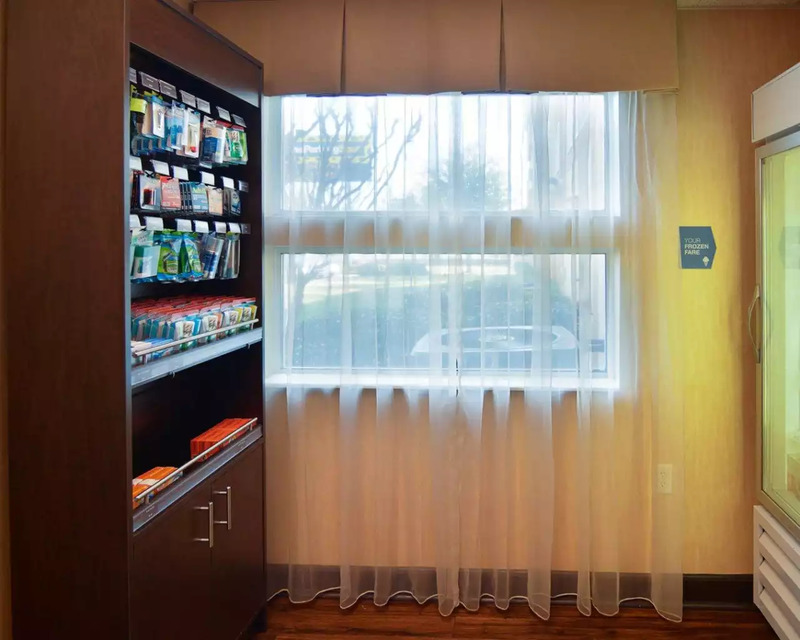 Detergent and dryer sheets can be conveniently purchased in our convenience store. In addition to our coin laundry, keep your clothes fresh and clean with our same-day dry cleaning services. Our hotel near DFW Airport is the ideal stop for corporate travelers. Apart from property-wide Wi-Fi, our hotel is equipped with functional amenities like a business center, express check-in, an airport shuttle, and even an on-site meeting space! 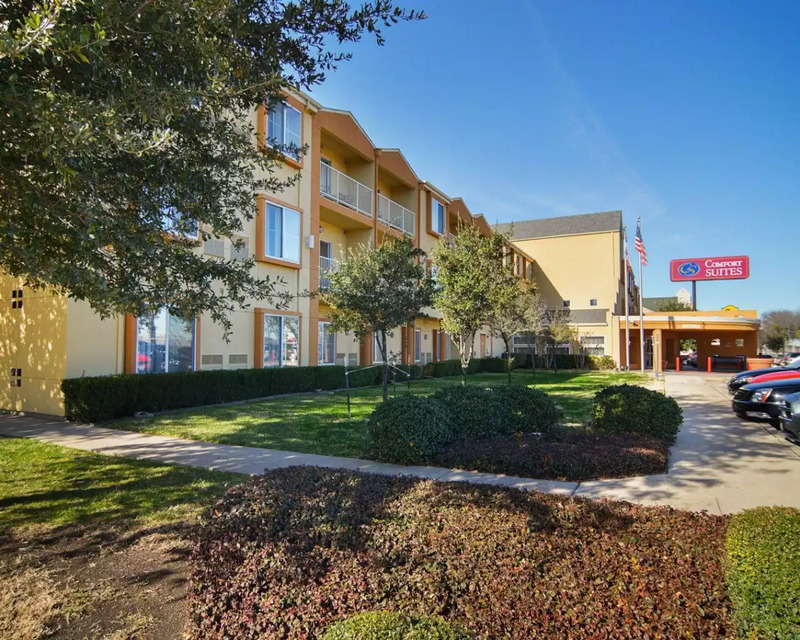 Extend your stay with one of our special offers and explore all that Irving, TX has to offer. 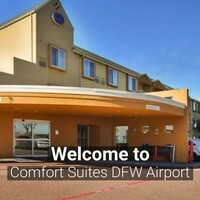 Book your business trip today, Comfort Suites DFW Airport awaits. Find self-serve coffee at any time of day! Dining in Texas starts here! 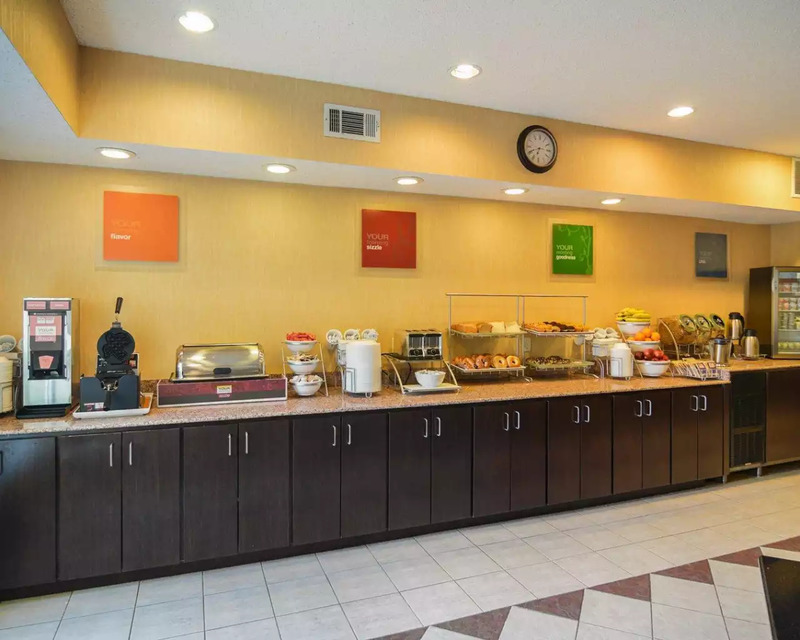 Join us each morning in our dining room for a fresh and warm spread of satiating breakfast foods. Enjoy hot breakfast items like scrambled eggs, sausage, and bacon. Plus, delight in our make-your-own waffles station that boasts two types of waffles. Stay healthy with a whole wheat waffle option, or elect to keep it classic with our original waffle batter. For lighter fare, start your day with cereal, fruits, juices, and bottomless coffee. 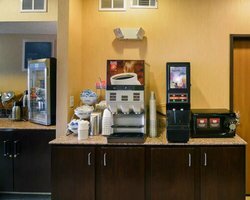 As an added bonus, self-serve coffee is available both in your room and in our lobby all day long. Your preferred place to eat in Irving, TX is right here. 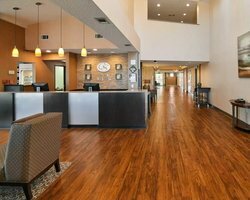 Our event space in Irving, TX is an expansive 1,338 square feet and can be broken up into four smaller rooms at your request. When separated, our meeting rooms range in size from 228 square feet to 1,110 square feet. 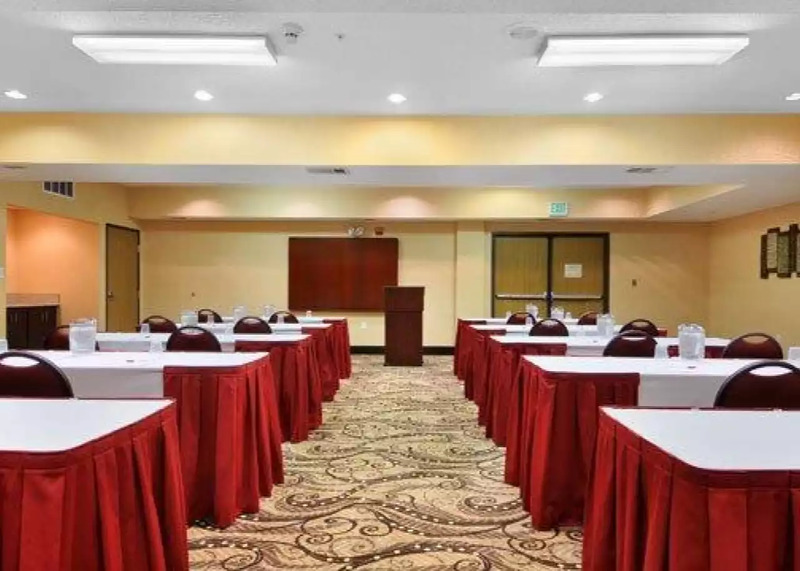 Personalize our meeting room’s dimensions to make the space suitable for everything from large presentations, banquets, or conferences, to workshops, brainstorming sessions, family reunions, and church meetings. Our dedicated staff will work to accommodate your every need and are pleased to provide a range of setup options for your tables, chairs, and decorations. Choose from banquet, conference, classroom, theatre, reception, or u-shape seating designs and easily accommodate up to 130 attendees. Our audio/visual capabilities include a screen and a projector, as well as copy and printing services. Our hotel is conveniently located just minutes away from the airport, making your commute short and simple. Our free airport shuttle makes things even easier by providing you hiccup-free transportation from midnight to 4:00 am every day.